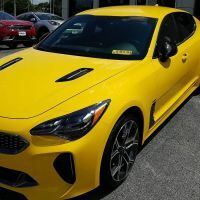 So, the short answer is ... if you want "coverage" beyond what KIA offers, you will need to purchase an aftermarket Insurance Policy (it is NOT a warranty). My limited experience is that it is MUCH less expensive to shop and buy online in the comfort of your own home, rather than be pressured at the dealership to purchase a lesser-quality policy at twice the going rate! It's important to know that, while your dealer tried to rip you off, many do not over price. I bought the highest level of policy the dealer offered for $2100.00. 10 year or 120 months. The finance manager countered with a sales price for the '18 GT 3.3 TT for $38, 139 + tax and license. @HawaiiPD what does the highest level policy offer? Does it include wear and tear items like brakes? I don't think so. Or the drive belt.